In early 2018, the National Aeronautics and Space Administration (NASA) announced that independent analyses conducted by NASA and the National Oceanic and Atmospheric Administration (NOAA) show that 2017 was the second warmest year on record globally. That warming trend has continued, as the latest research by NOAA predicts that 2018 is on pace to be the fourth hottest year on record – with only 2015, 2016, and 2017 being warmer. Experts agree that the continual rise in temperature is driven primarily by increased carbon dioxide and other human-made greenhouse gas (GHG) emissions, including those produced by electricity production and energy use within industries. To help address the effects of climate change, HP is taking steps to reduce the environmental impact of its operations around the world. For example, the company pursues environmental management and green building certifications at HP-owned and leased facilities when feasible. Today, 14 HP sites around the world are LEED certified by the U.S. Green Building Council, including sites in Gurgaon, India; Beijing, China; Shenzhen, China; and Singapore. HP is also committed to setting—and meeting—environment goals within its operations. For example, HP set a goal to reduce Scope 1 and Scope 2 GHG emissions from its global operations by 25% by 2025, compared to 2015. In 2017, HP actually exceeded that goal by decreasing emissions by 35% compared to 2015. Similarly, in 2016 HP pledged to use 100% renewable electricity in its global operations, with an interim goal of 40% by 2020. 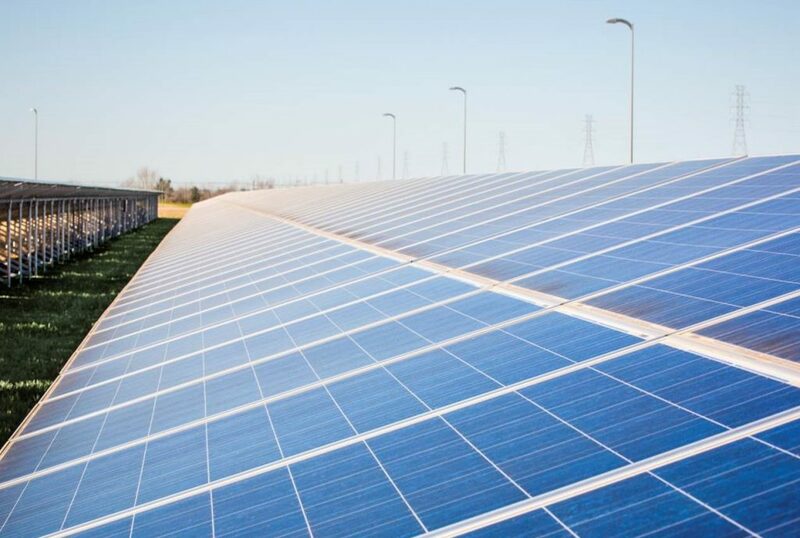 In 2017, HP exceeded that goal when it achieved 50% renewable electricity use in its global operations. HP has a strong presence in Singapore, where its Asia Pacific and Japan headquarters, as well as manufacturing and research and development (R&D) sites, are located. As part of its commitment to Singapore and the environment, HP signed a pledge in support of the 2018 Year of Climate Action program spearheaded by Singapore’s Ministry for the Environment and Water Resources. 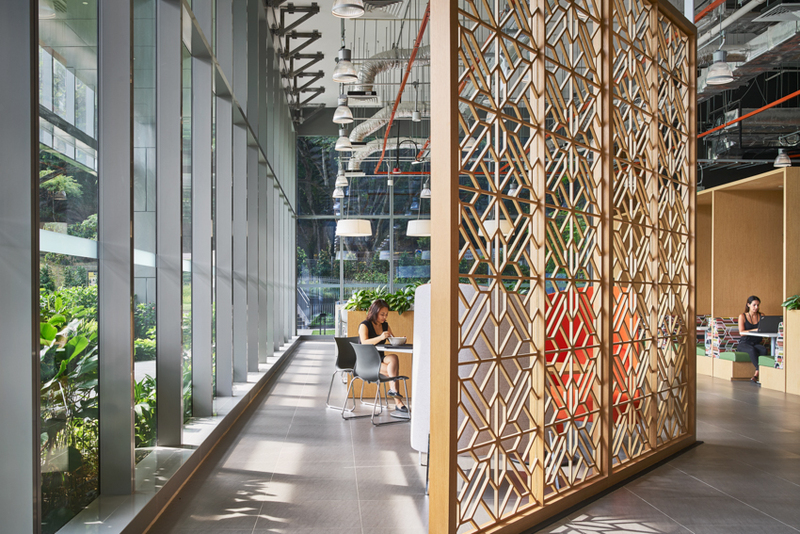 In late 2017, HP opened its new headquarters in Singapore, which illustrates its focus on the environment. The site is home to a variety of teams, including sales, operations R&D, marketing supply chain, and logistics for the region. It also features a new research facility, called SMARC (Smart Manufacturing Application and Research Center), where employees use robotics, data analytics, autonomous intelligent vehicles, and other advanced technology to study how HP can improve the efficiency of its supplies manufacturing process. More than 3,000 employees from 35 nationalities work at the location, which spans almost 42,000 square meters and is designed to capitalize on natural light. The headquarters uses intelligent controls and equipment to ensure greater energy savings, among other sustainable measures. In keeping with HP’s corporate Sustainable Impact strategy, the buildings are designed to reduce waste, conserve energy, and decrease water consumption. In fact, the new premises have received the coveted Building and Construction Authority of Singapore’s Greenmark Platinum award for environmental impact and performance. The new headquarters, as well as two other Singapore locations, also became the first HP sites to implement ISO 50001 standards. Based on the International Organization for Standardization (ISO) management system of continuous improvement, ISO 50001 provides organizations with a structured framework to improve energy management, increase energy efficiency, and reduce operational costs. In addition to its corporate efforts, HP also relies on its employees to help the company reduce its environmental impact. For example, to help reduce water consumption at its Singapore sites, HP recently held a water ideation session that included employees, personnel from Singapore utilities, and water engineering consulting groups. The goal was to develop creative solutions to address water challenges, including creating a culture of conservation, designing employee engagement programs, and determining ways to reduce water demands in the manufacturing process.